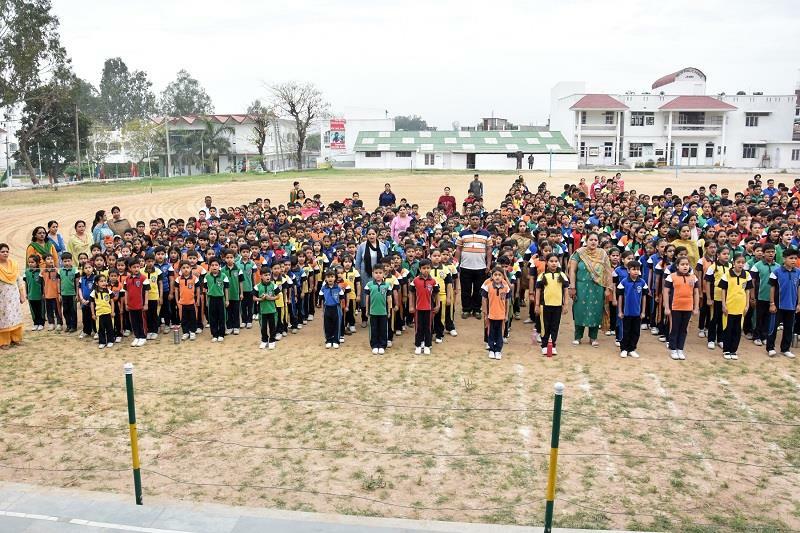 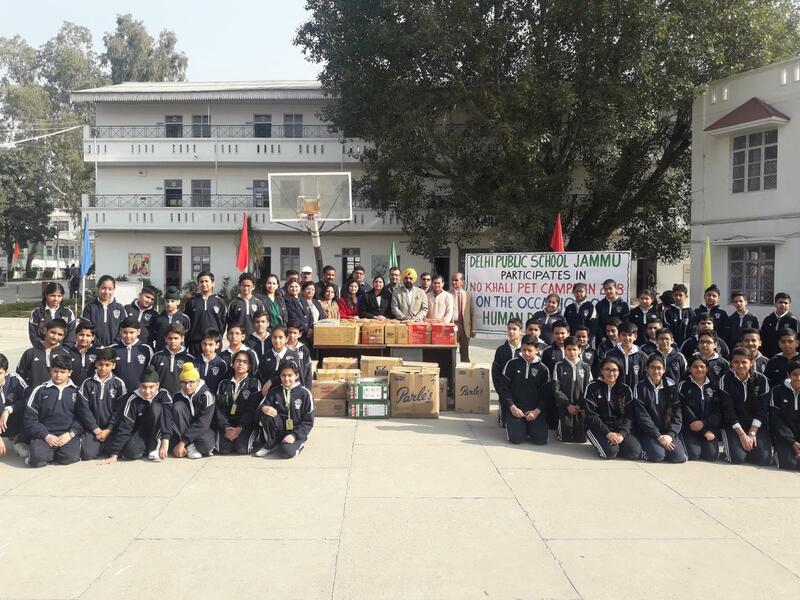 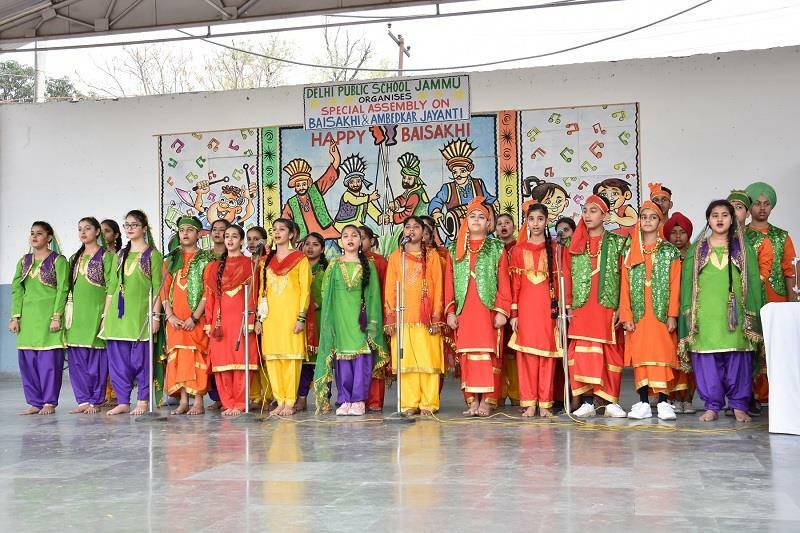 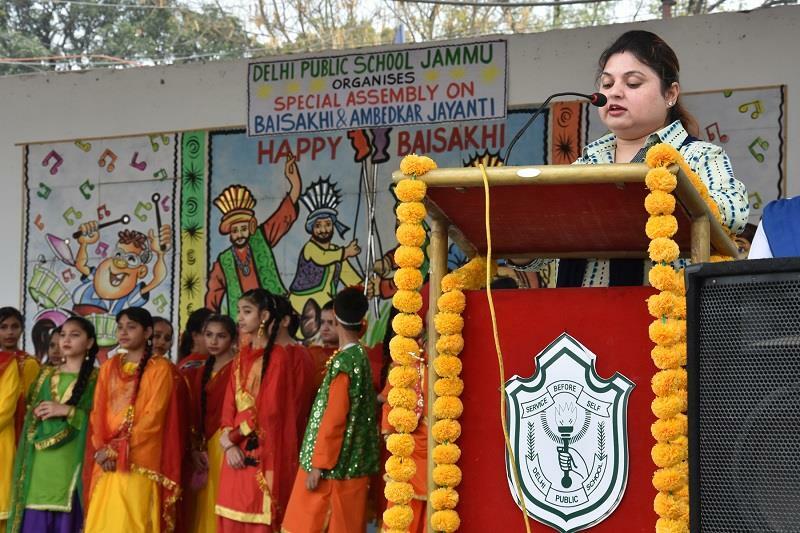 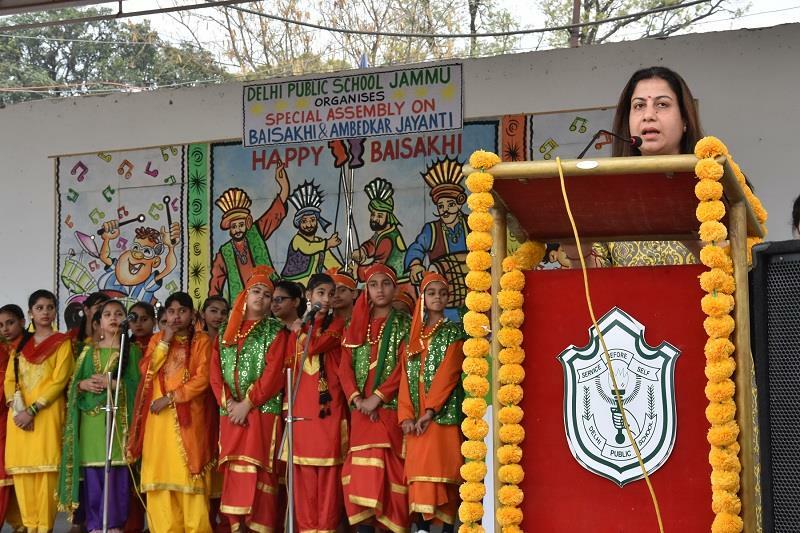 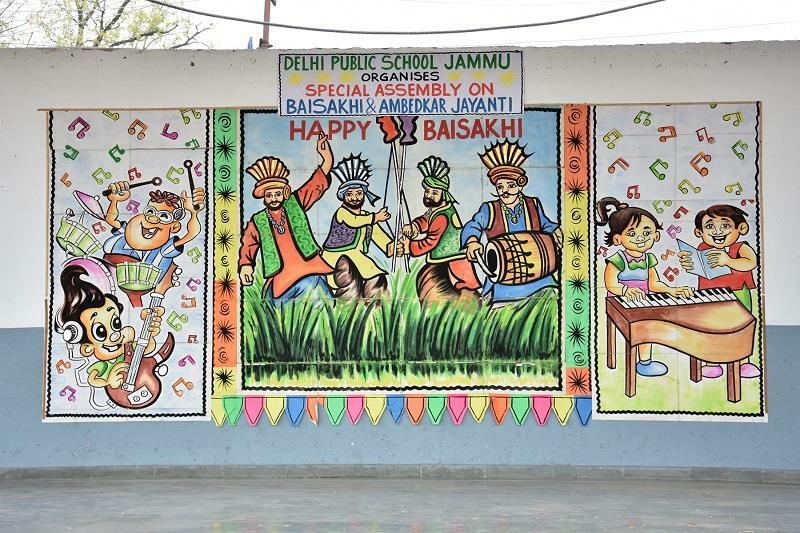 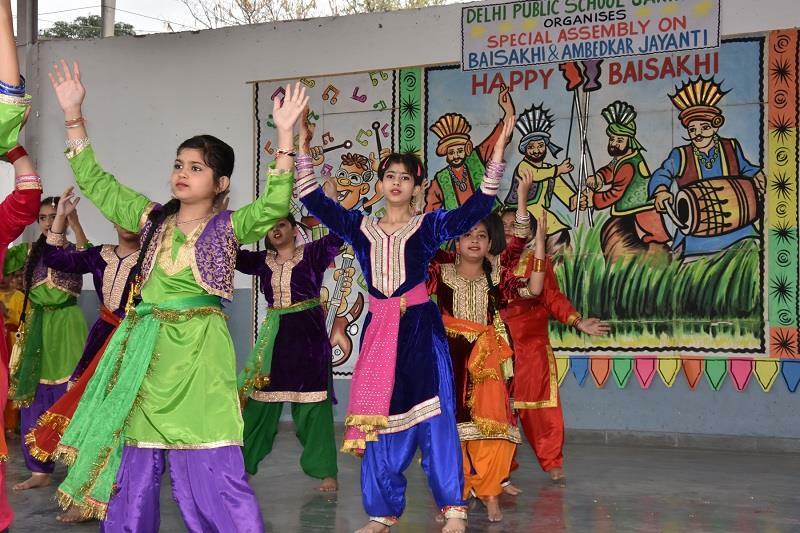 Delhi Public School, Jammu organized special assembly to mark the importance of Baisakhi and birth anniversary of Dr. B.R Ambedkar. 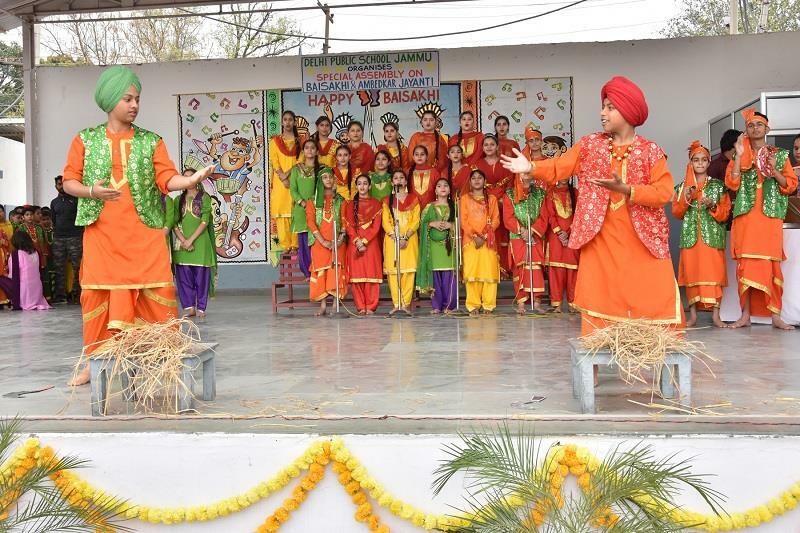 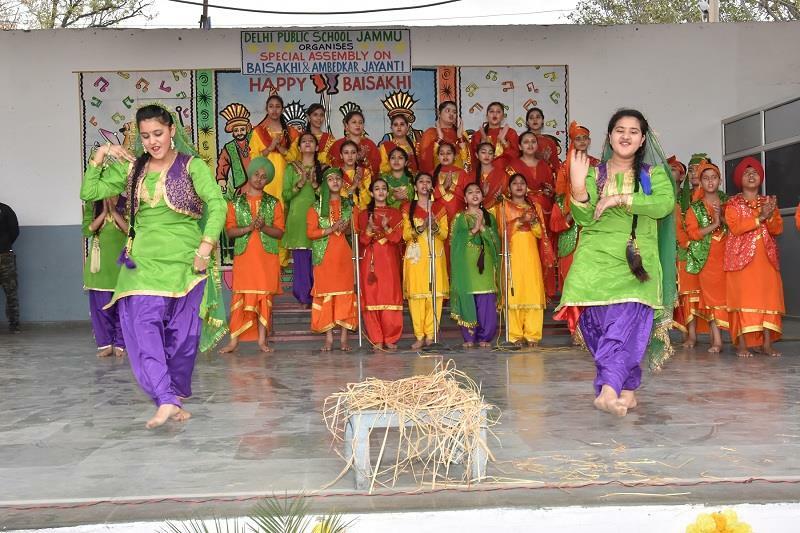 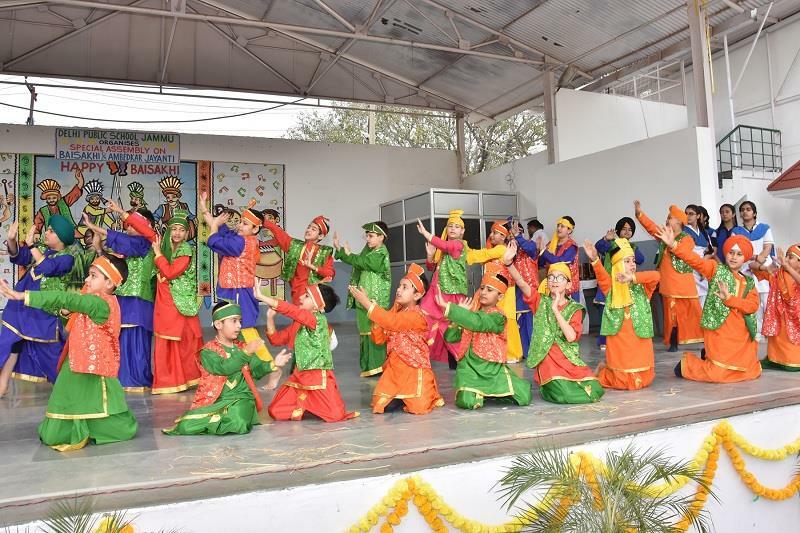 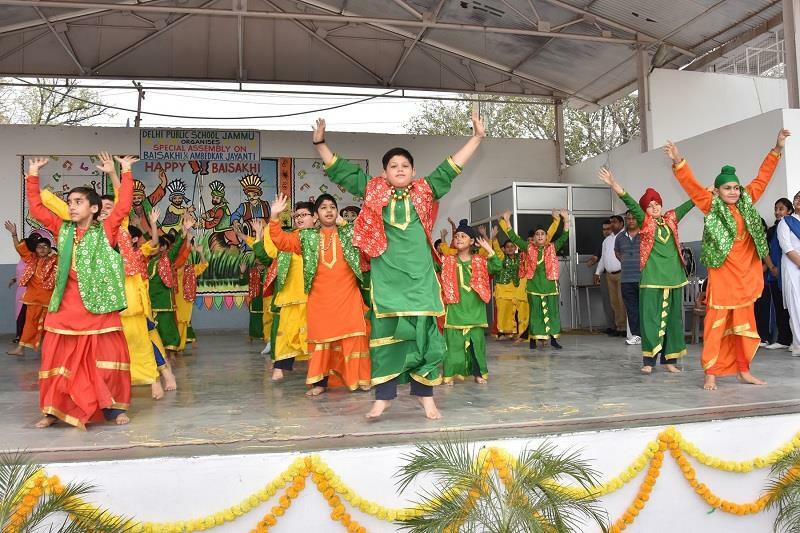 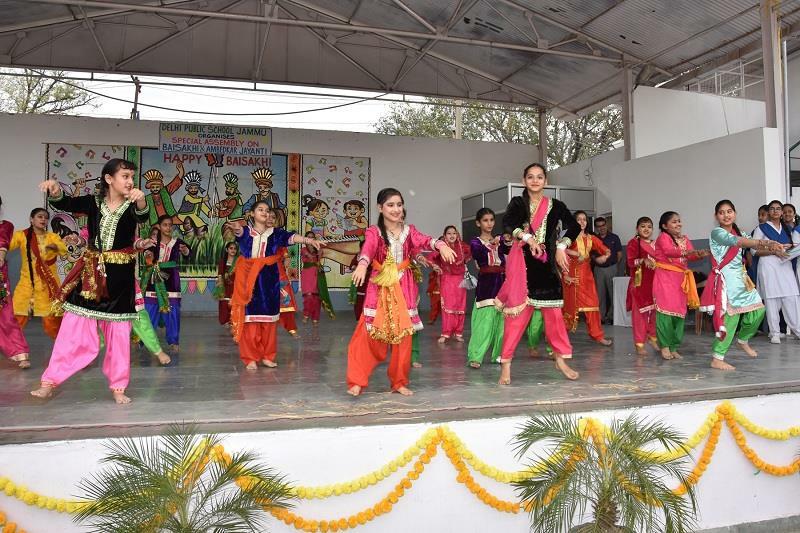 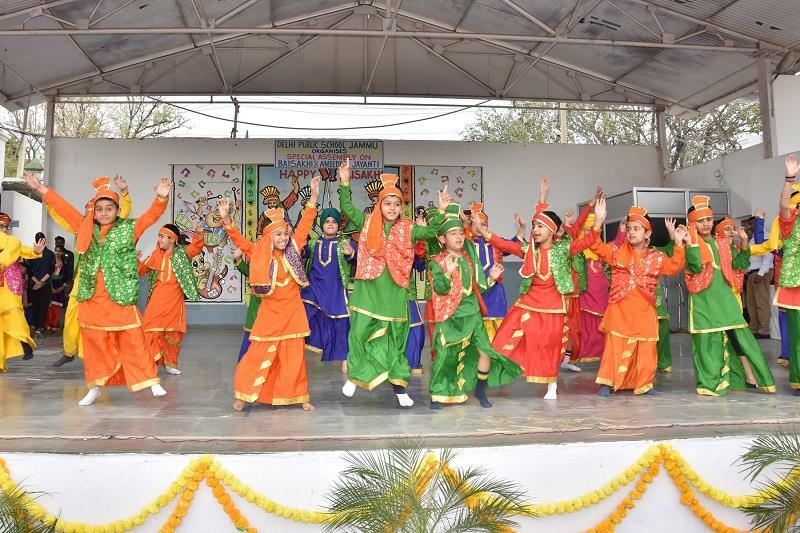 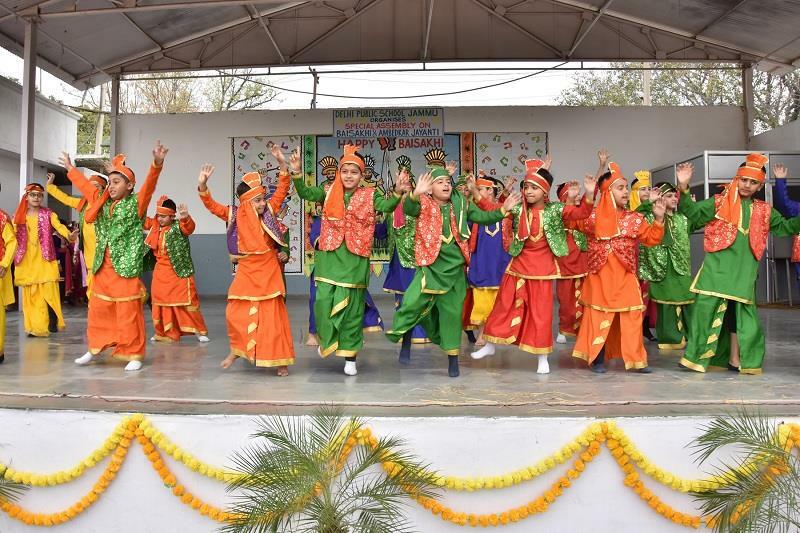 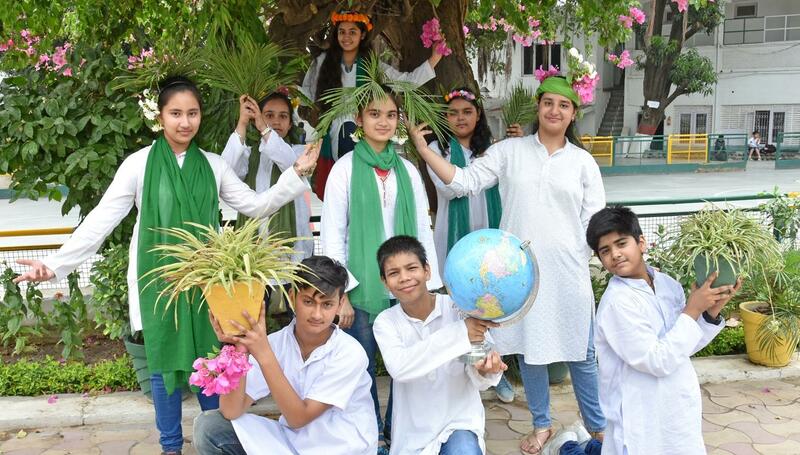 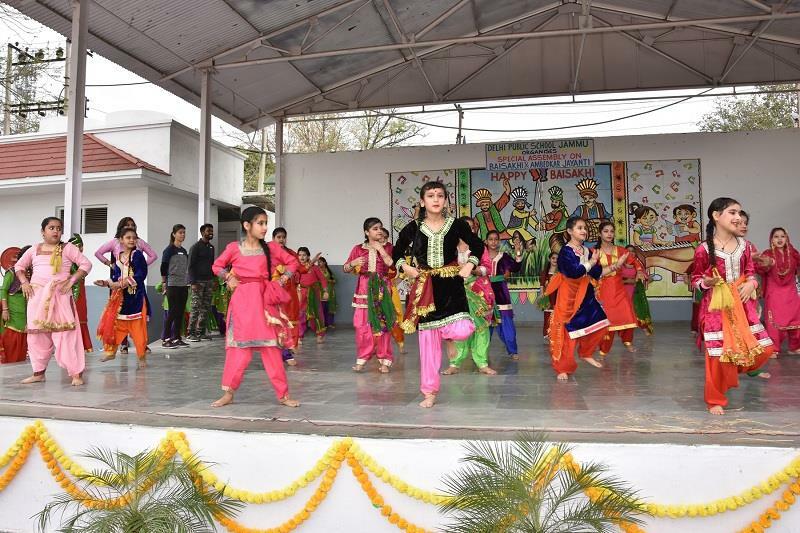 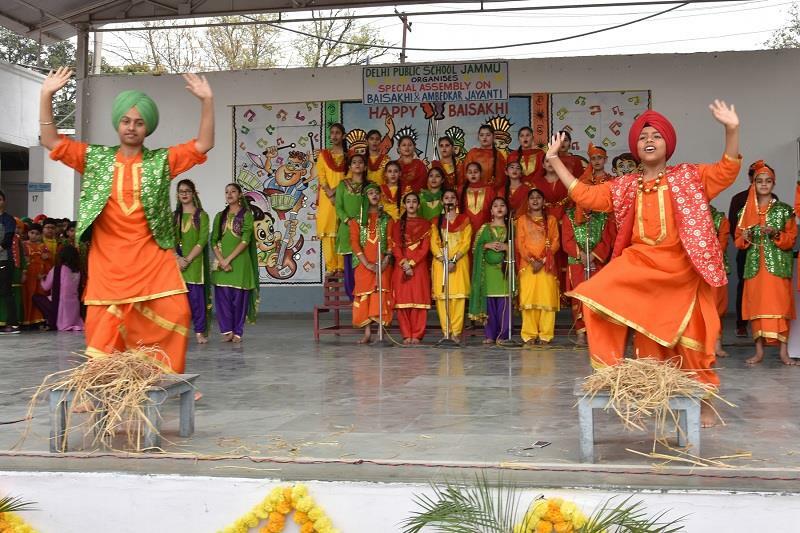 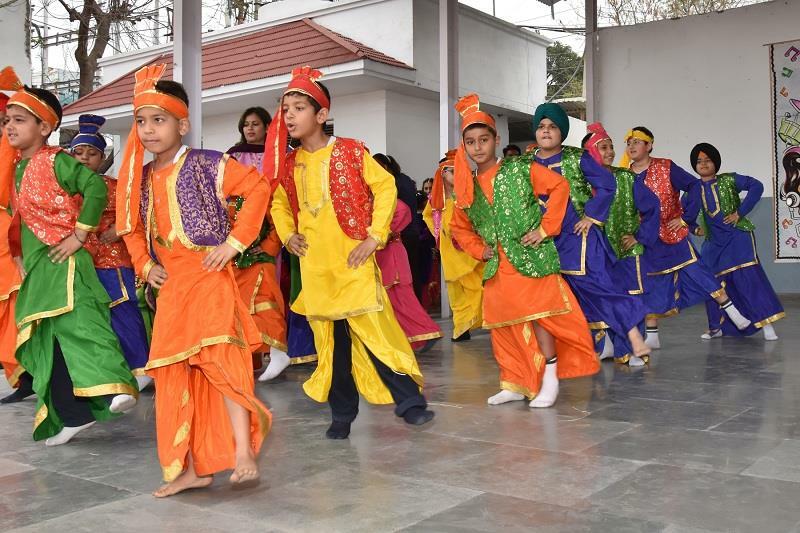 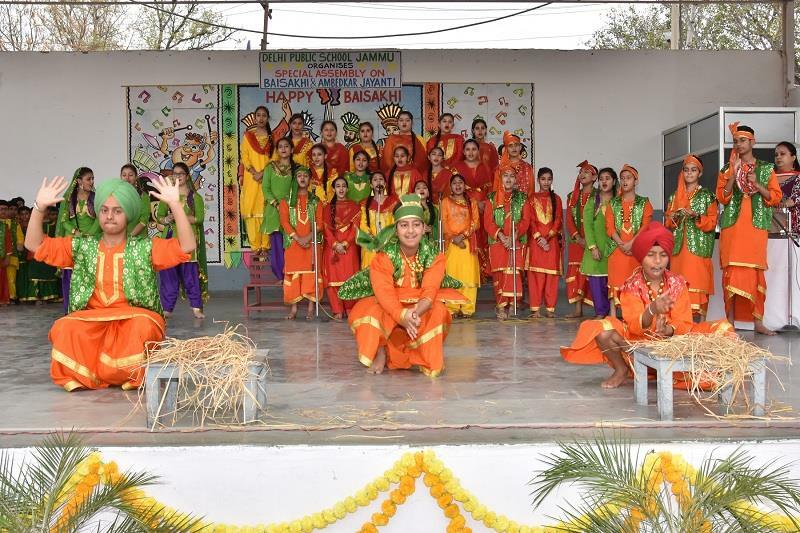 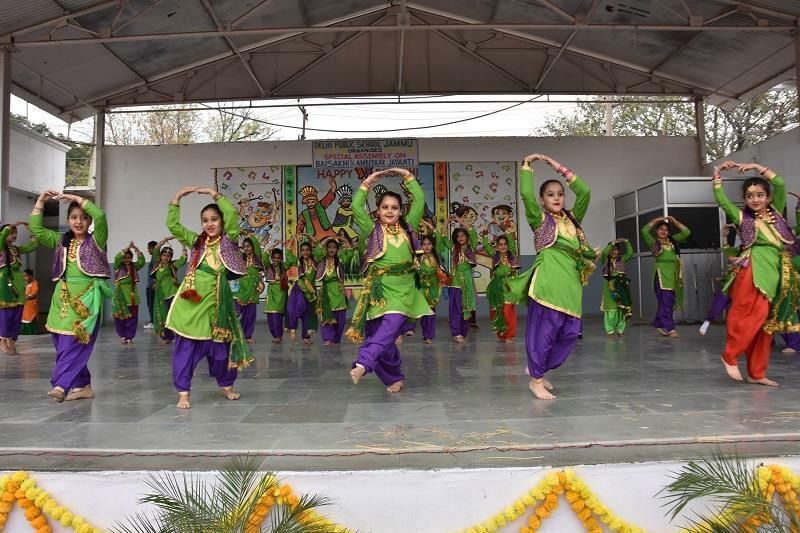 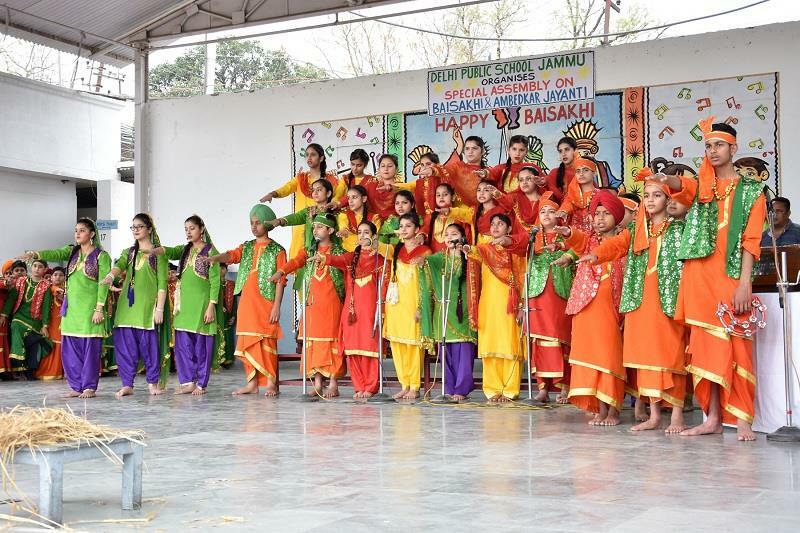 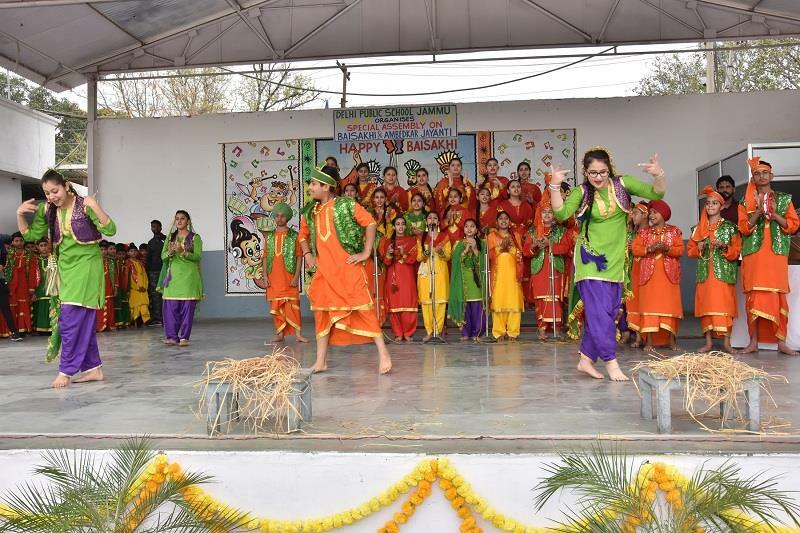 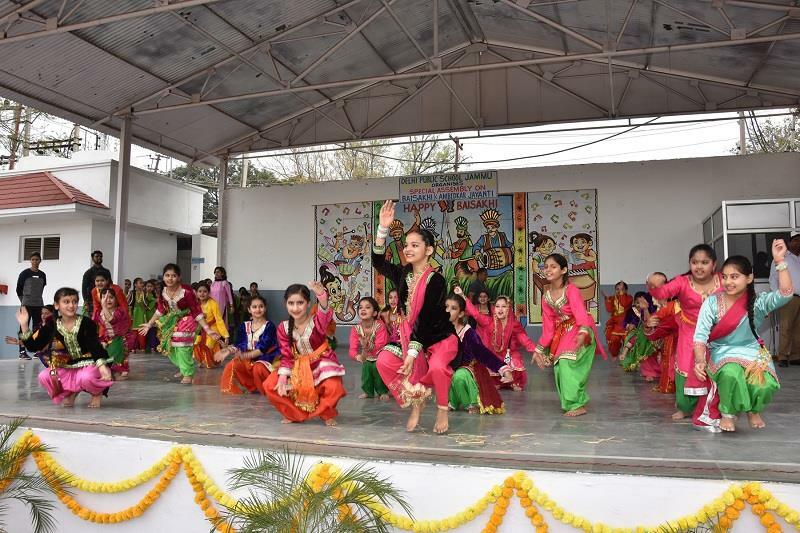 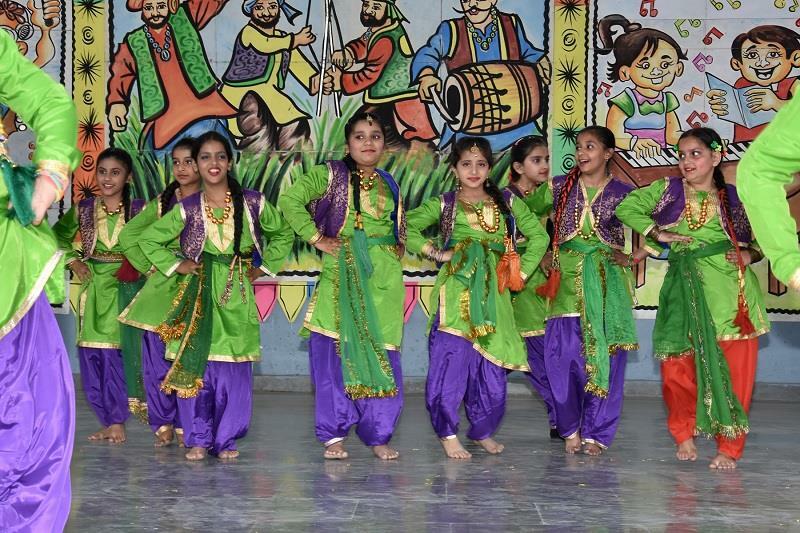 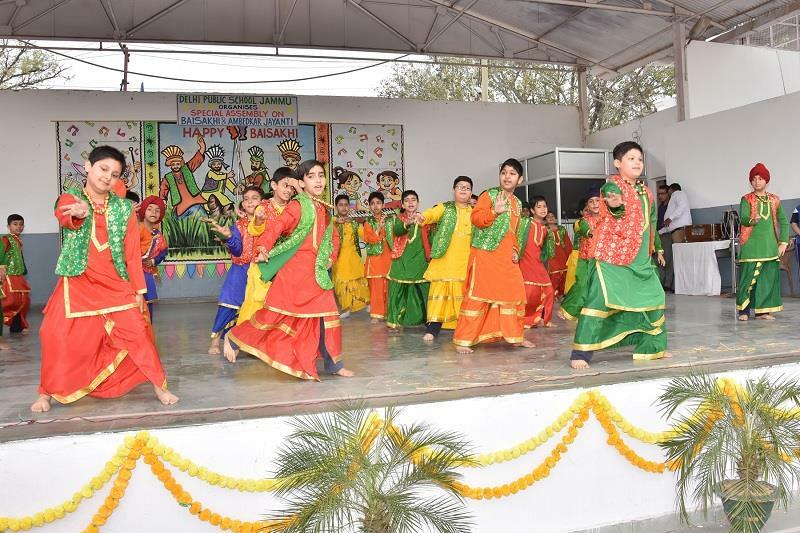 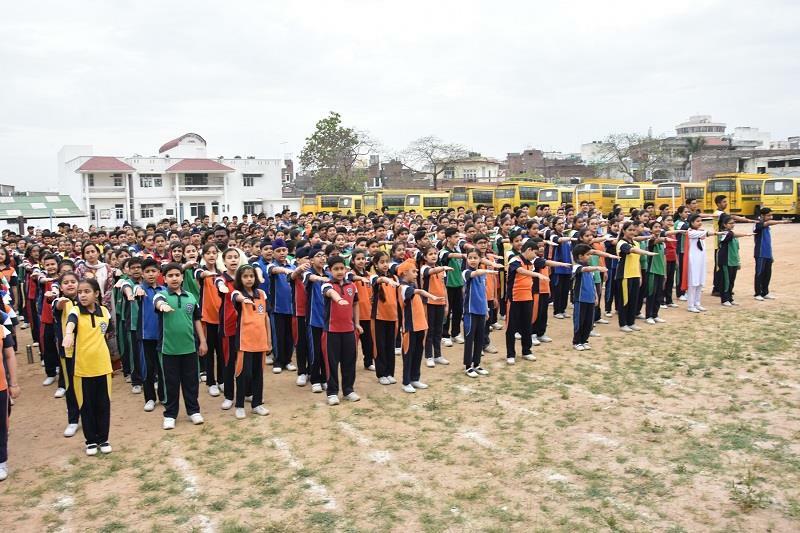 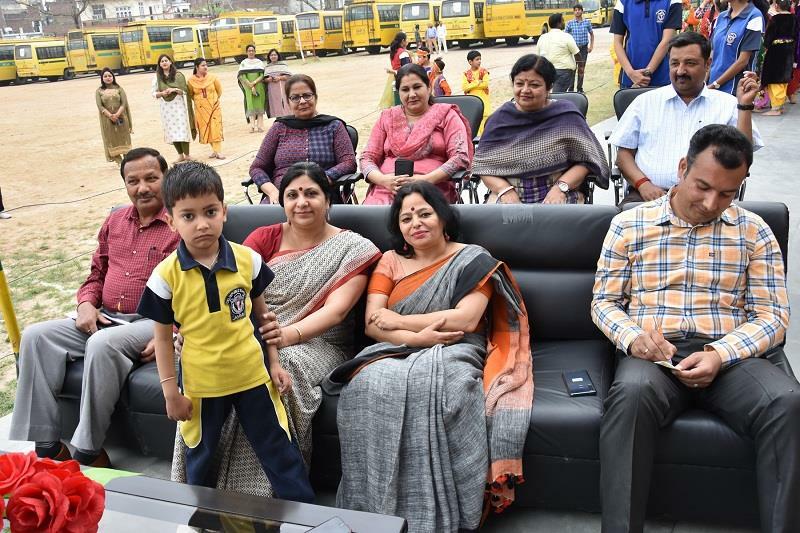 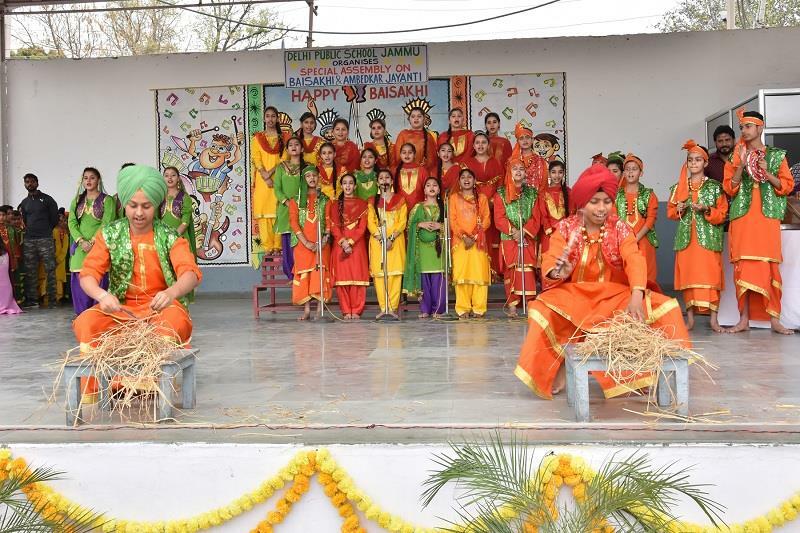 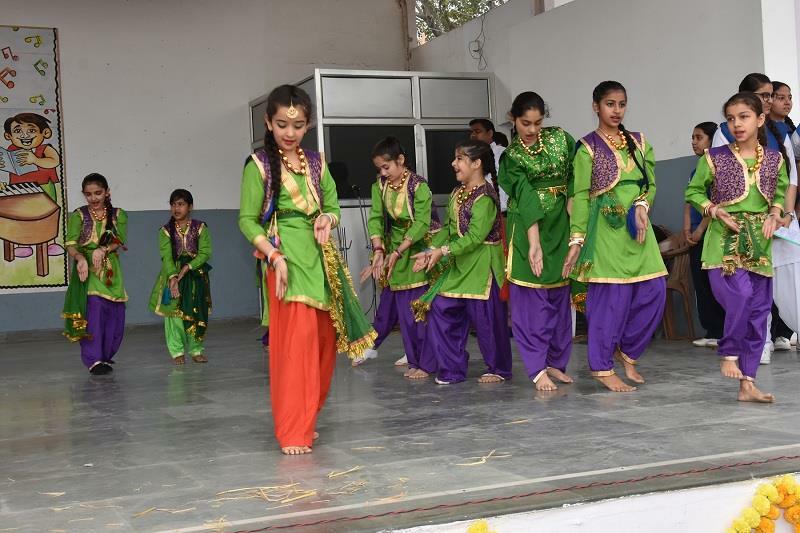 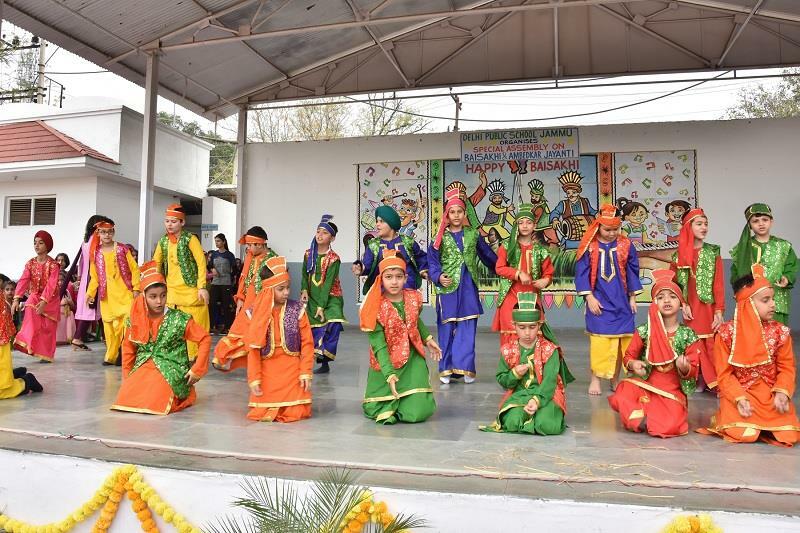 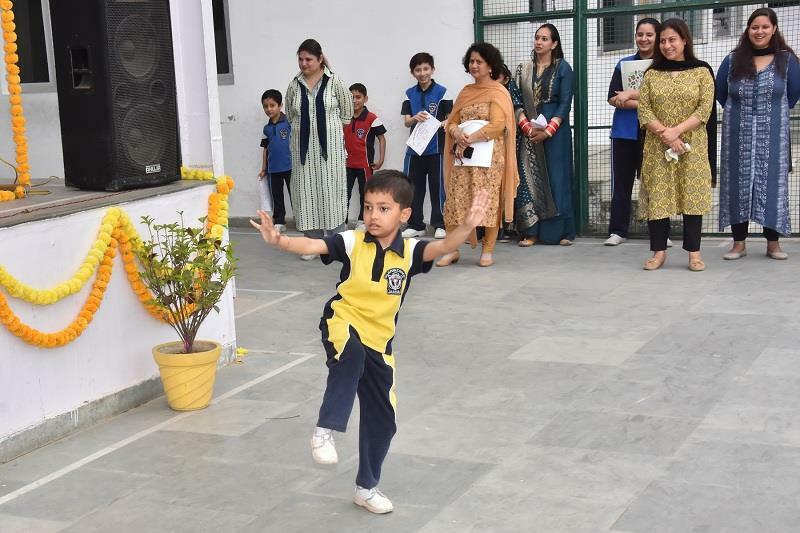 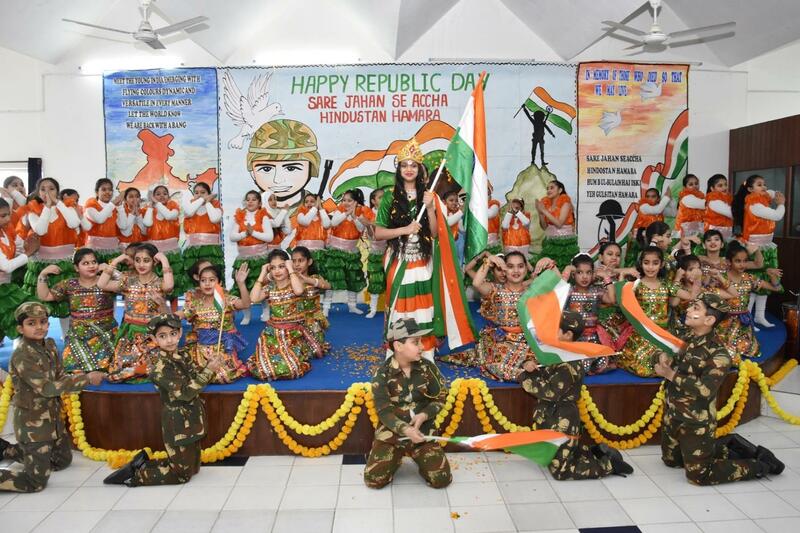 A host of theme based activities were planned for various grades with the prime motive of helping children understand various aspects of Baisakhi festival and learn about the life of Dr. Ambedkar. 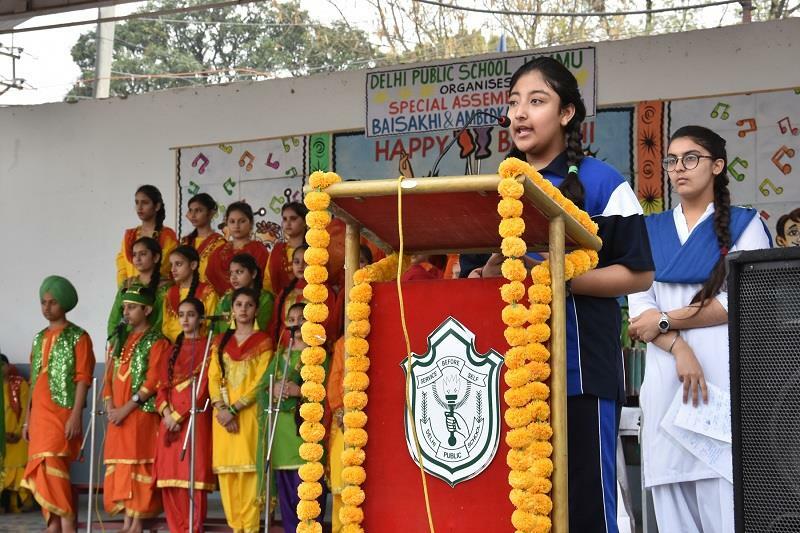 Prior to the assembly, the students performed many other theme based activities to acquaint them with the significance of the day, including researching on the life, achievements and contributions of Dr. B.R Ambedkar and pasting of his pictures in their scrap books. 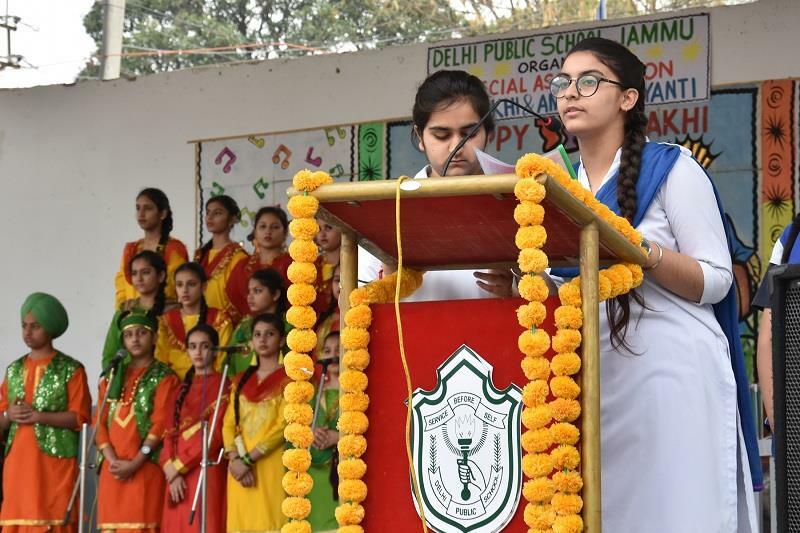 Students also discussed about the significance of the ideals upheld by Dr. Ambedkar. 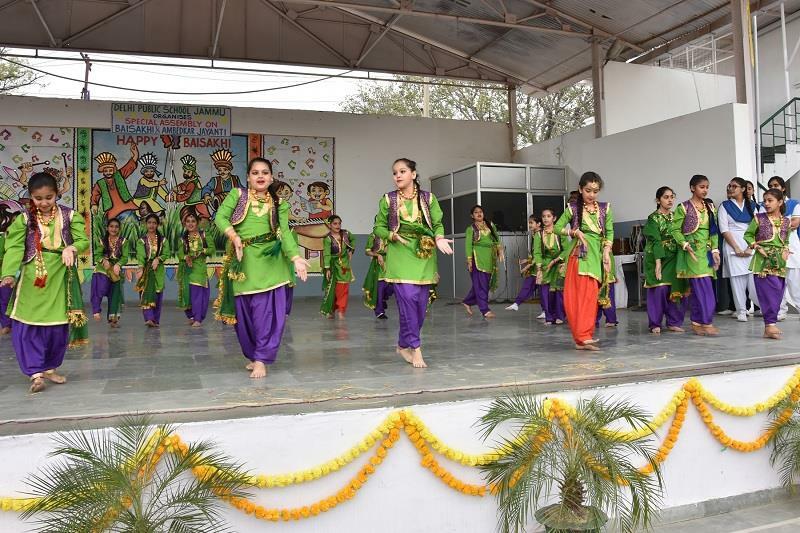 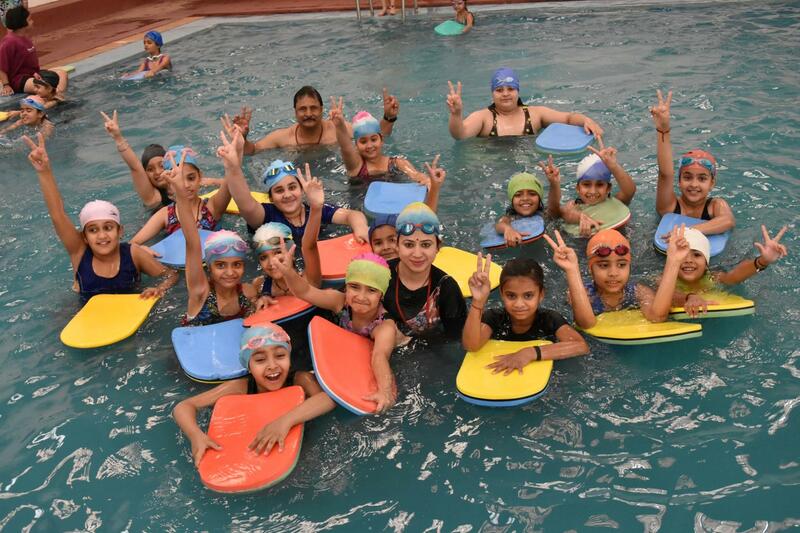 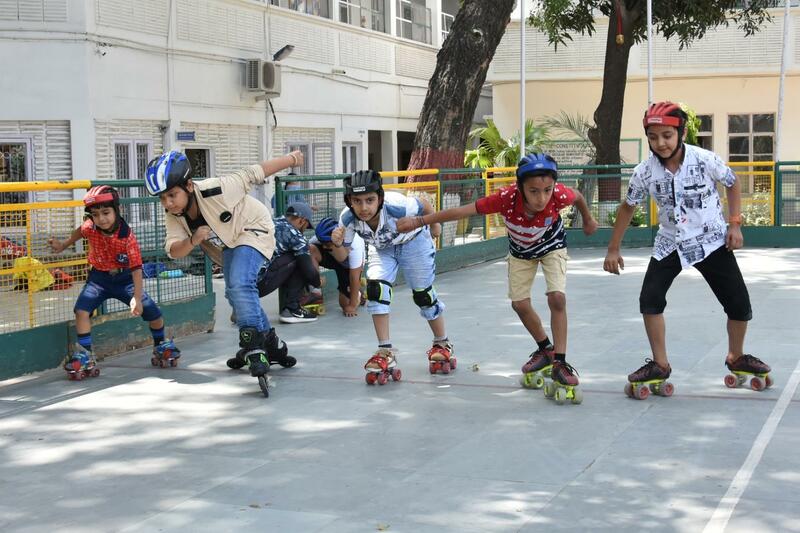 All activities were thoroughly enjoyed by the students. 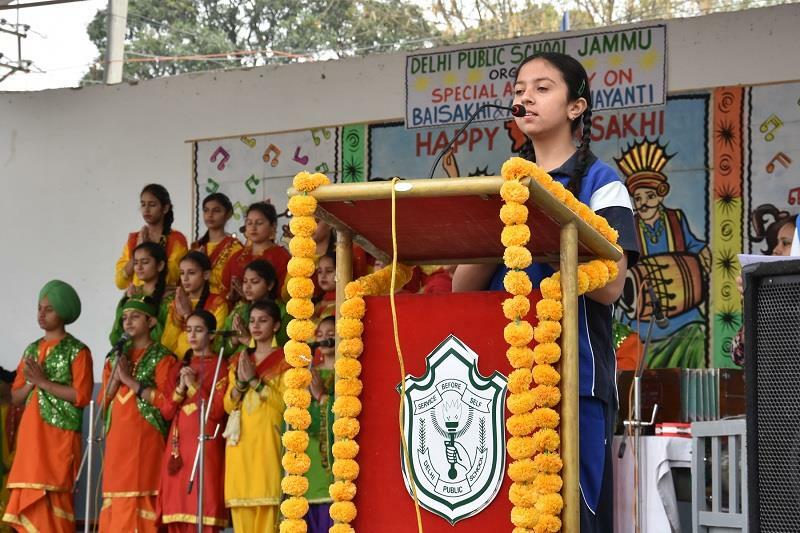 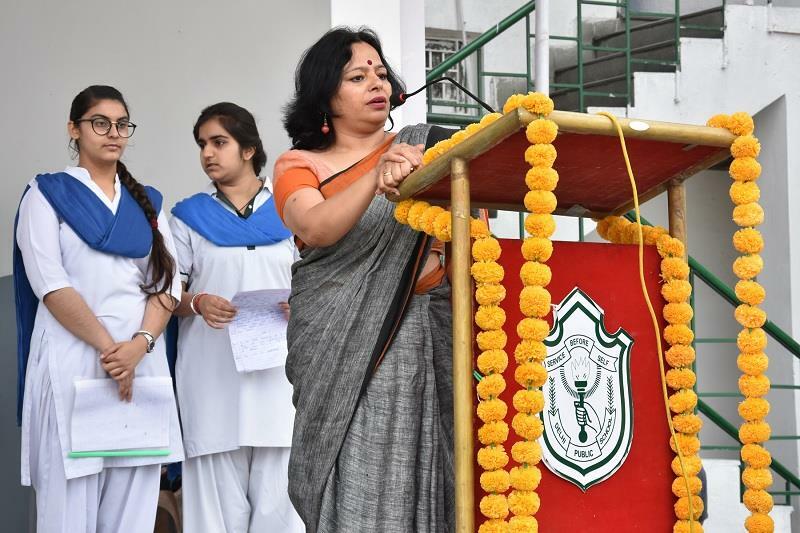 The special assembly was hosted by Malvika Kesar (XII-D) & Gulsmile Kour (X-D) who welcomed the Principal, Headmistress and other dignitaries present on the occasion. 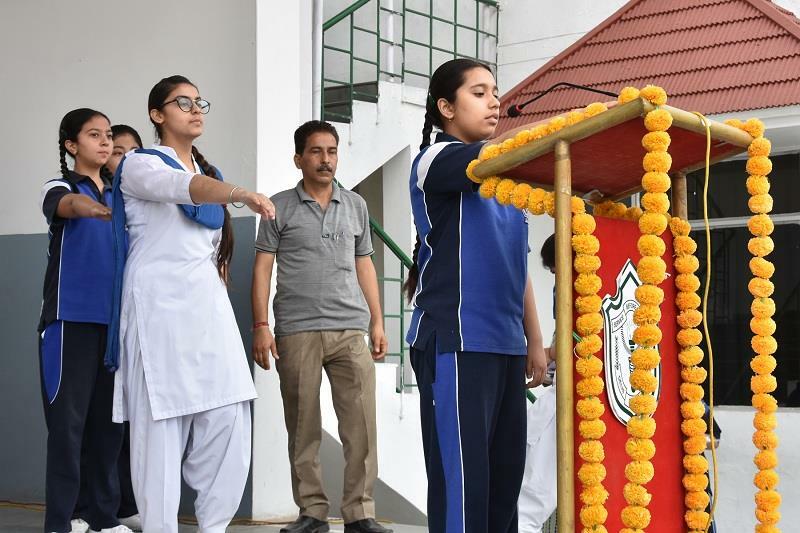 The assembly commenced with the school prayer which was followed by the day’s thought and the pledge. 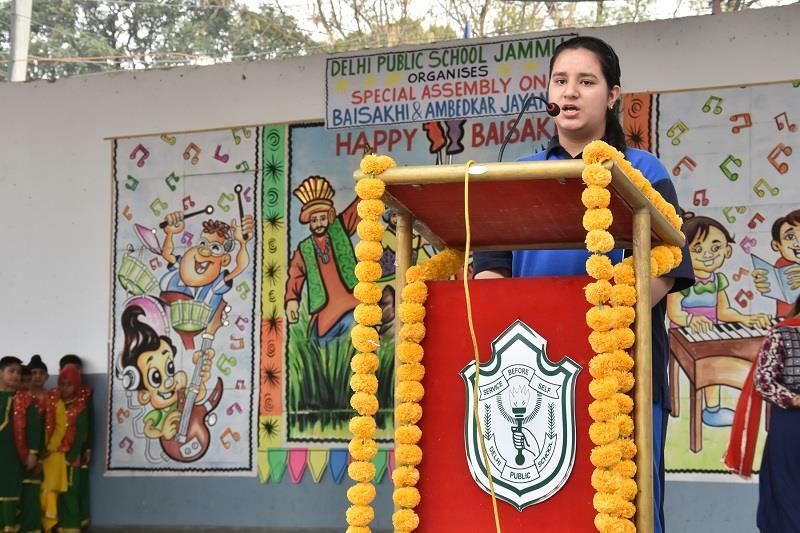 Lavanya of class IX presented a talk reflecting on the life of Dr. Ambedkar. 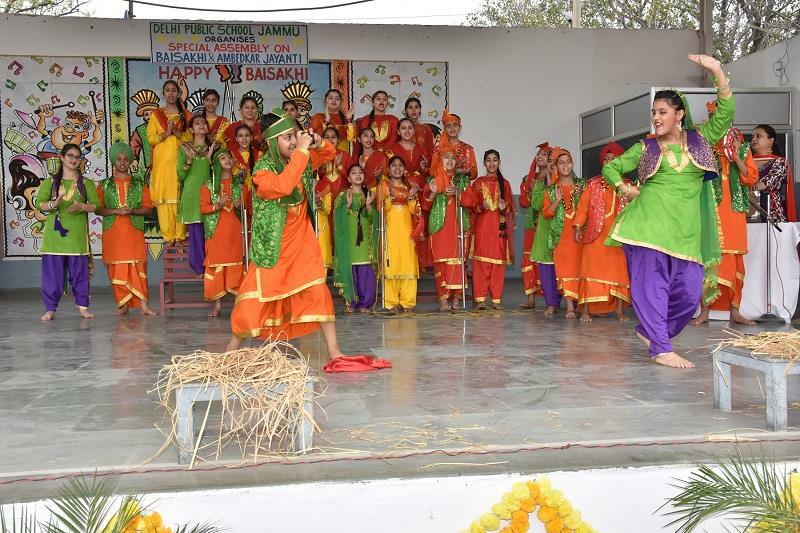 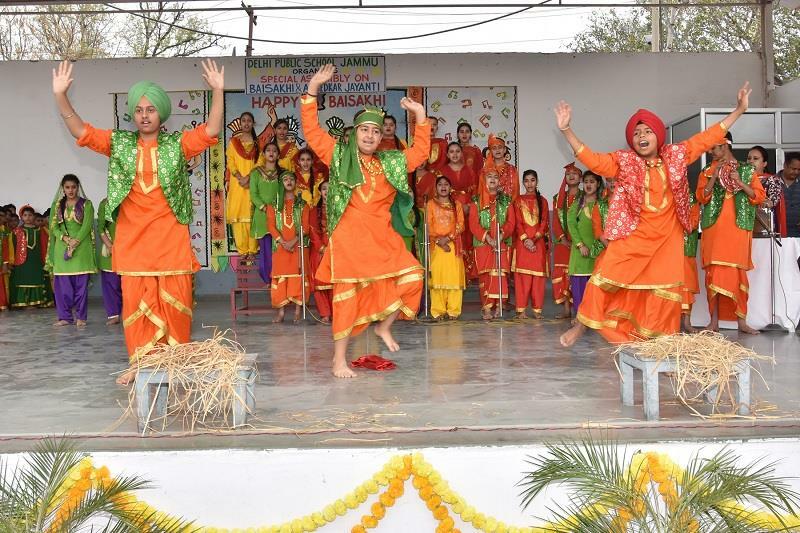 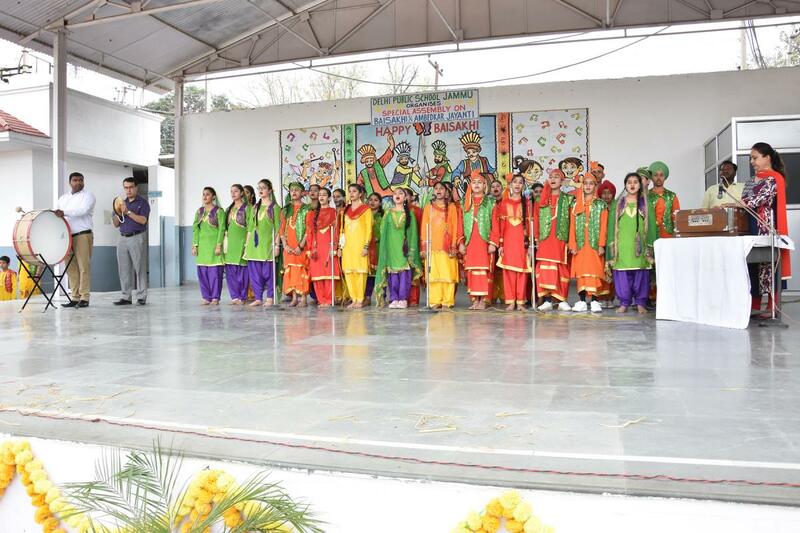 The school choir alongwith the mesmerizing Bhangra performance, Giddas and Tappas were presented by the students of middle wing carrying the freshly harvested wheat crop bundles. 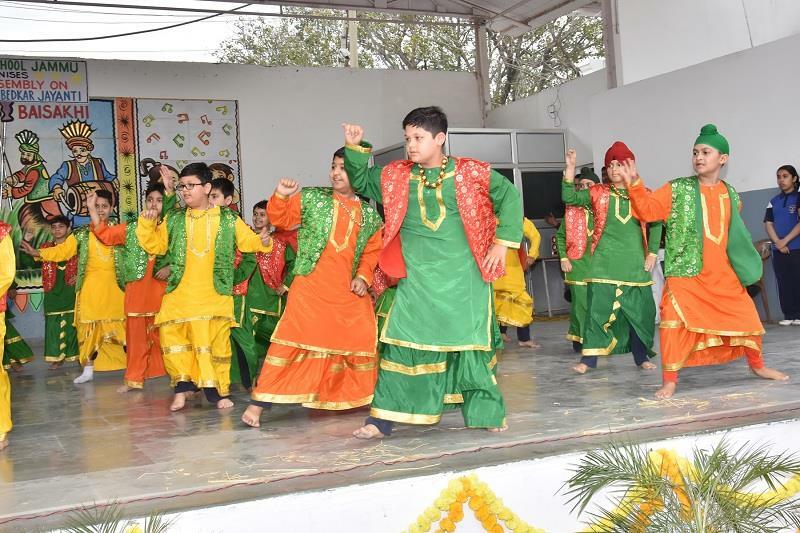 All performances were said to tune and choreographed by Ms. Mukti Talwar, Mr. Daniel Ms. Sheetal Chalotra and Mr. Sanjeet Mehra. 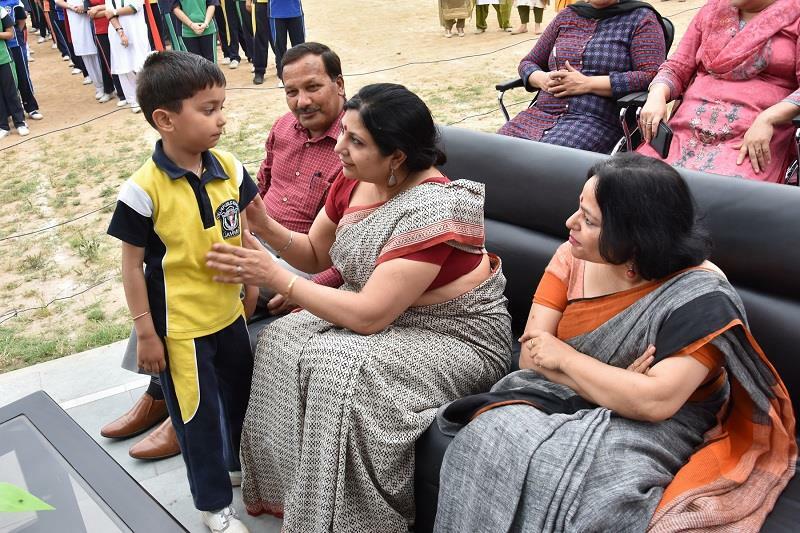 The Principal, Headmistress, Dy. 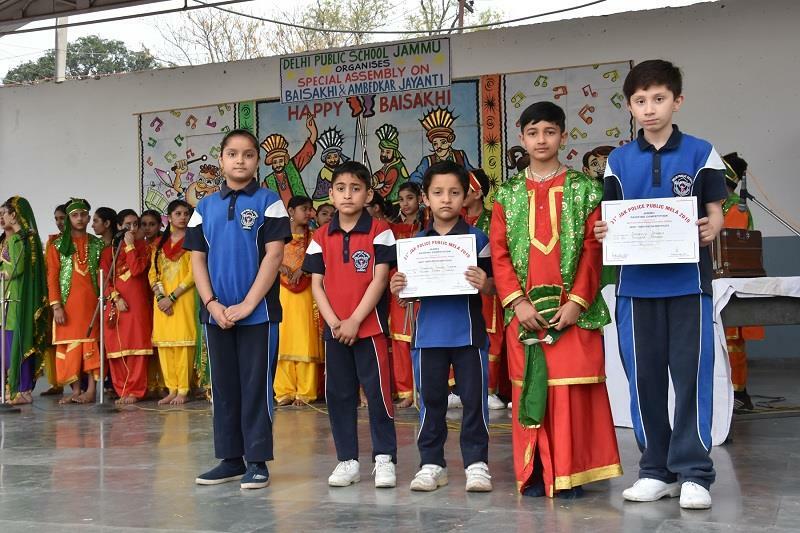 Headmaster and other dignitaries acknowledged and appreciated the students of primary section for their outstanding performance in painting competition organized by Police Wives Welfare Association. 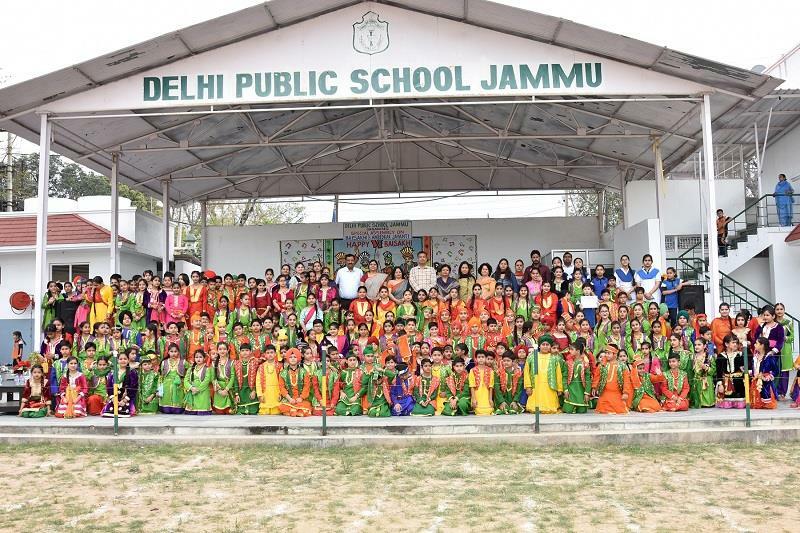 They also appreciated the students of senior wing for winning various positions in J&K state in All India Essay Writing Competition-2018 organized by Shri Ramchandra Mission. 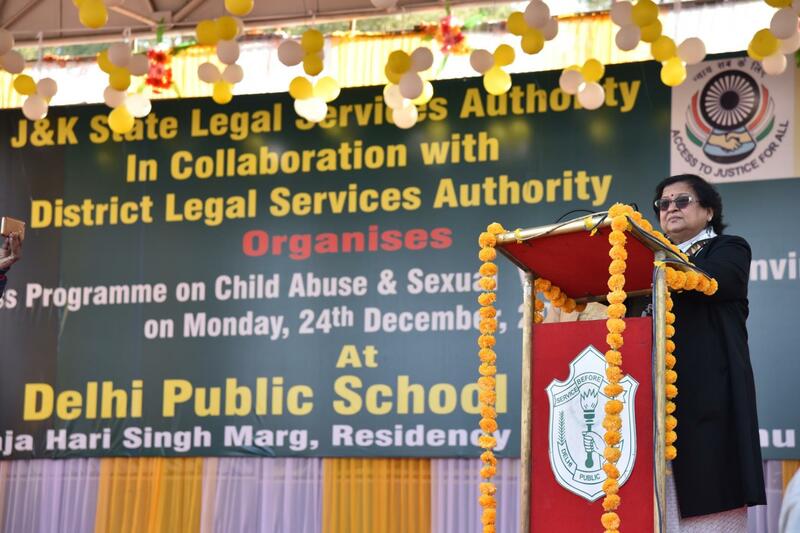 The vote of thanks was presented by Ms. Bharti Munshi, House Warden-Ganga House. 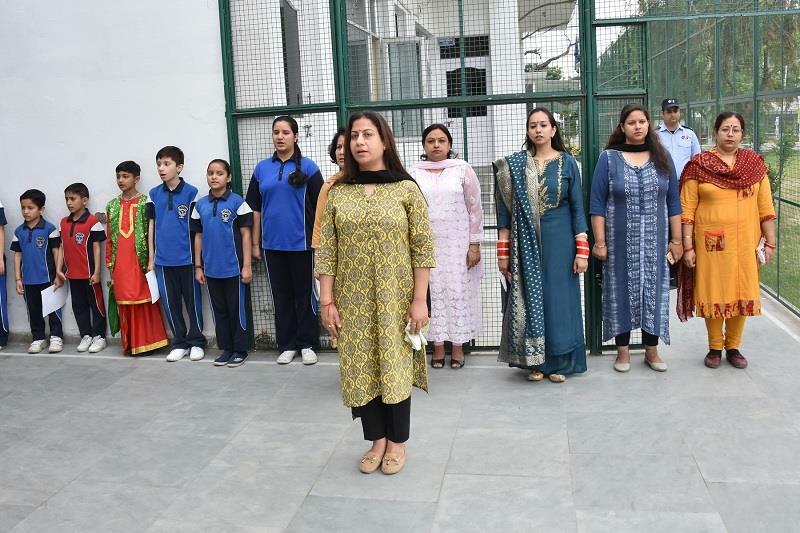 The event came to an end with National Anthem. 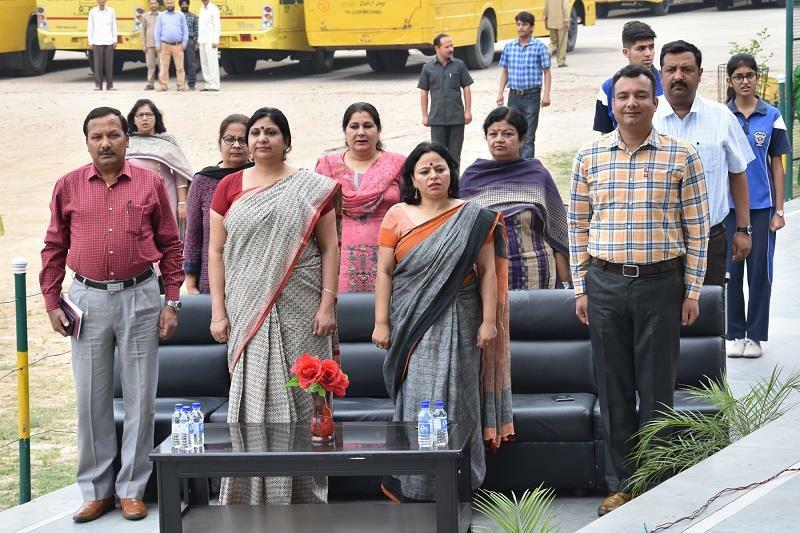 Hon’ble President, RCT, Sh. 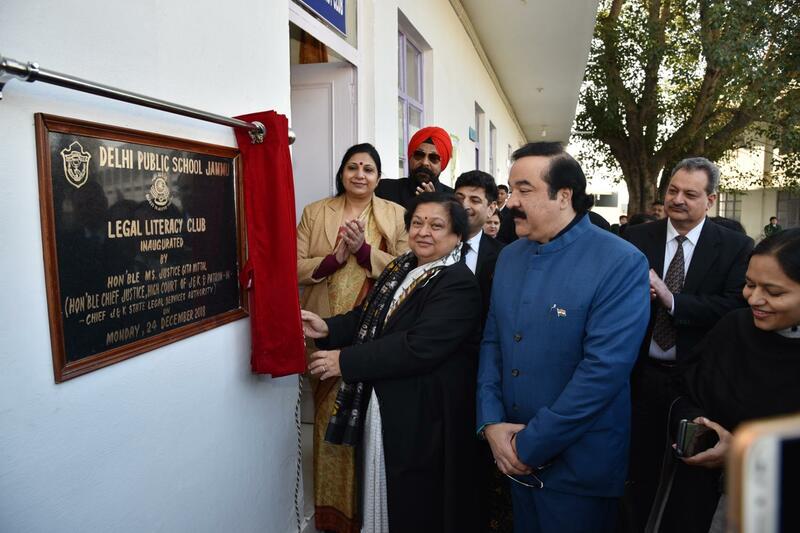 M.K Ajatshsatru Singh Ji, Hon’ble PVC, Kunwrani Ritu Singh Ji and Hon’ble Director, Sh. 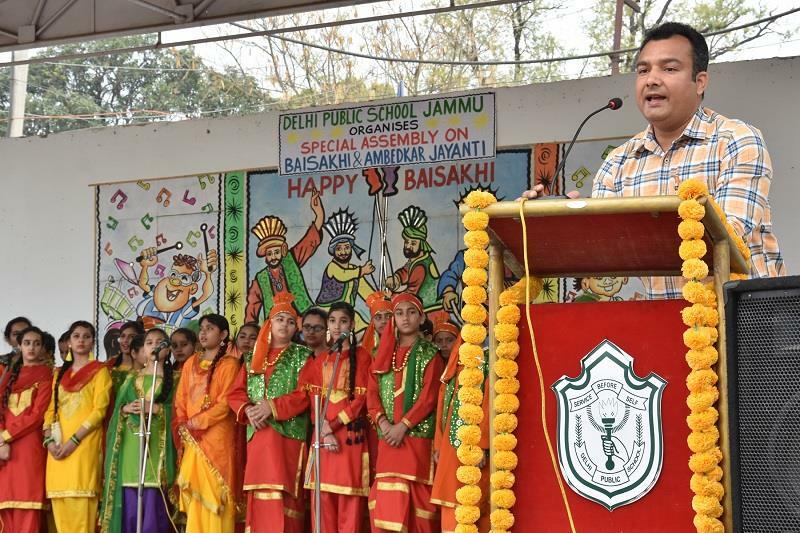 S.S Sodhi Ji congratulated the teachers and the students on this auspicious day and wished them best of luck.